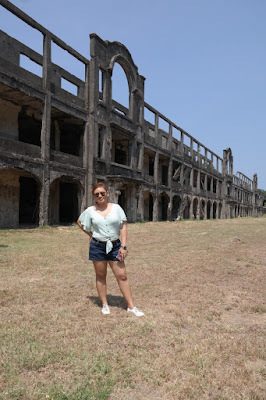 Part of the Tour of Corregidor are the visit to the ruins of the buildings that used to stand on the grounds of the island plus the other structures that were built later on to commemorate the events that happened there and the men and women who sacrificed their lives. 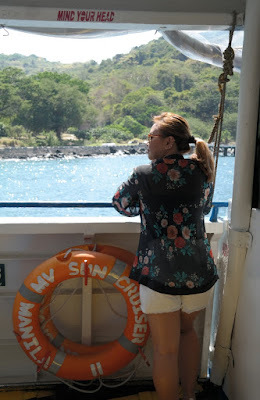 The building is called as such as it is located at the Middleside of the island which is a small plateau that interrupts the upward slope from Bottomside to Topside. 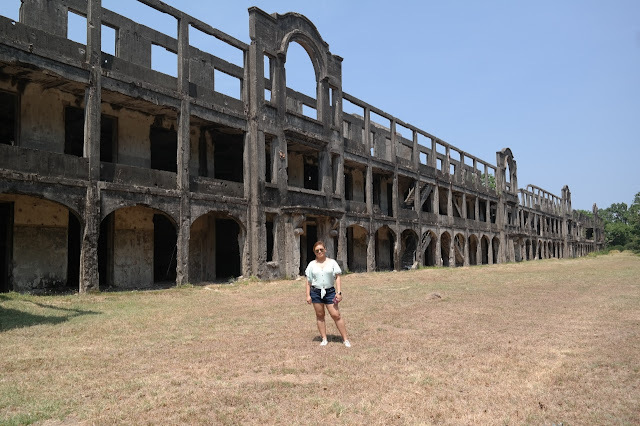 Here is where you can find the ruins of the 2-story officers' quarters, barracks for the enlisted men, quarters for non-commissioned officers, a service club, PX, and two schoolhouses. We didn’t go down the tram as the barracks are inaccessible from the new road. 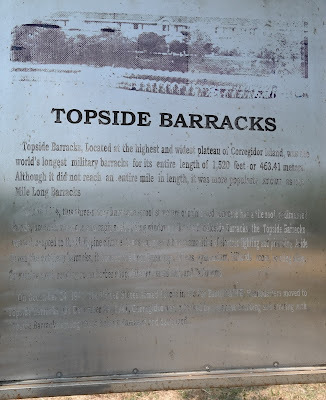 Another famous landmark in Corregidor is the Topside Barracks and it stands in the biggest area of the island. This area points towards the West Philippine Sea, rises prominently to a large flat area. Contrary to its name, Mile Long, the building is not a mile long only 1,520 feet, a few short feet before it can reach a mile. But it got its nickname because military personnel used to scale the length of the building back and forth and covered around of 5,280 feet which is equivalent to a mile. 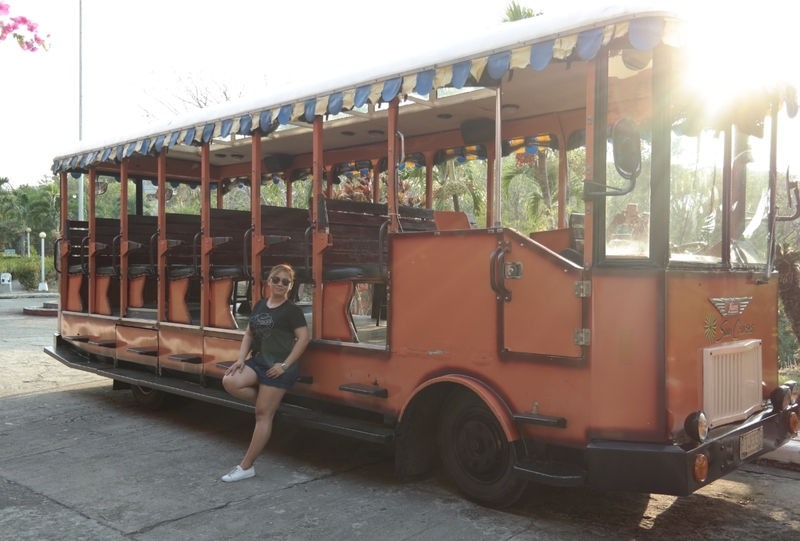 This 3-storey hurricane proof structure was built in 1914 and houses the American officers and enlisted personnel assigned at the garrison and also said to be where one can find the office/headquarters of Gen. Douglas MacArthur. I’ve seen photos of it online before it was reduced to rubbles during the war and it looks so majestic and grand. It even has an indoor pool at the middle side and overlooks the parade grounds/baseball field. 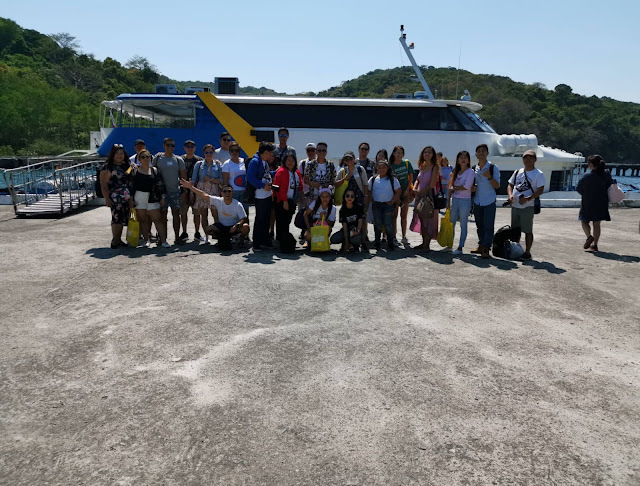 Our tour guide said the structures in the island including this one were made of steel from Pennsylvania and cement from Japan. What an irony right? Corregidor Hospital or otherwise known as Army Post Hospital is located near the Middle Barracks and was built in 1912. Despite the Medical Neutrality of the Geneva Conventions (wherein a kind of social contract that obligates societies to protect medical personnel in both times of war and peace, and obligates medical personnel to treat all individuals regardless of religion, race, ethnicity, or political affiliation), and having a big red letter H on its roof, the hospital was bombed out. You can still see parts of the hospital with floors of the upper floors collapsed on the ground. Besides that the ruins also is the place where the Muslim military recruits that was massacred in the 1968 stayed and trained, which was later a huge expose’ called the Jabidah Massacre. You can still find the graffiti left by the soldiers on the walls of the hospital and other messages that they wrote. The ruins kind of reminded me of the temples in Siem Reap especially that the forest is slowly eating the ruins. Near the Topside Barracks is a complex of buildings, a mix of the old and somewhat new, in a vast area of land opposite the parade grounds stands the ruins of the Cine Corregidor, the officers’ house, the house of Gen. Mac Arthur, the Pacific War Museum, the Pacific War Memorial and the Eternal Flame of Freedom. 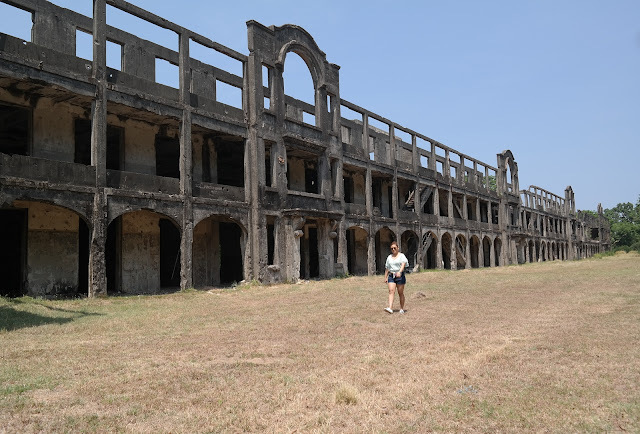 Cine Corregidor was built before the war and a place of recreation for the soldiers. Here is where news and movies were shown, twice daily. Our tour guide, Sir Ed told us that when the war erupted, the last movie shown at the theater was said to have shown “Gone with the Wind”. 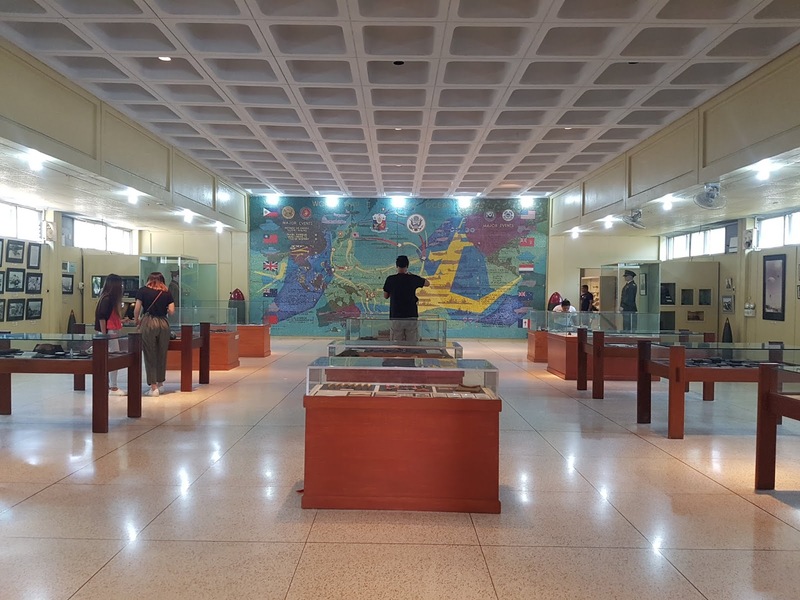 The Pacific War Memorial Museum is just behind the Cine Corregidor and contains a lot of memorabilia both found in the island and donated by veterans and their families. I was particularly drawn to the frame that contains a handful of steel name tags and the display cases with airborne insignias. I didn’t know that there were paratroopers who also went to the Philippines during WWII because most of them were deployed in Normandy and I was ecstatic to see that airborne patch and pin being a HUGE fan Band of Brothers and Saving Private Ryan. We didn’t get to go inside the Pacific War Memorial and go near the Eternal Flame of Freedom because of time constraints but from afar they already look so majestic. The Pacific War Memorial stands at the highest part of the island are one of the relatively new structures. 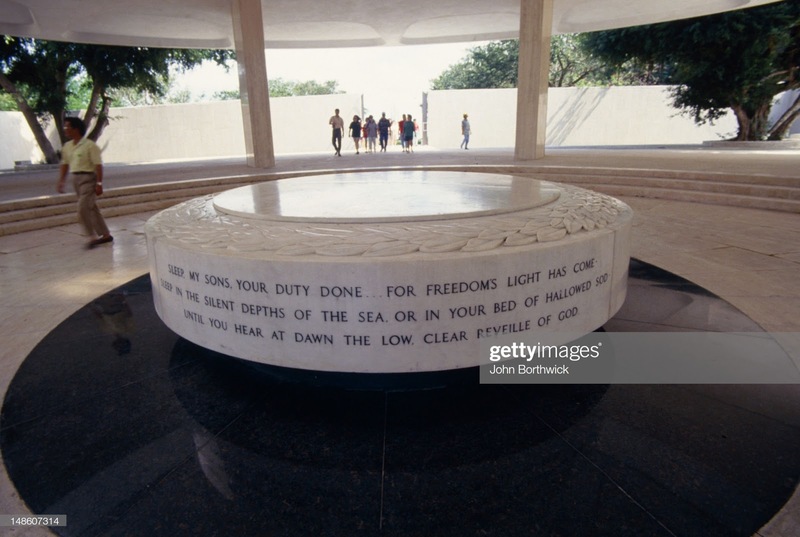 It was completed in 1968 and funded by the U.S. government and serves as an honour to the Filipino and American soldiers who participated in World War II in the Pacific Theatre of Operations. 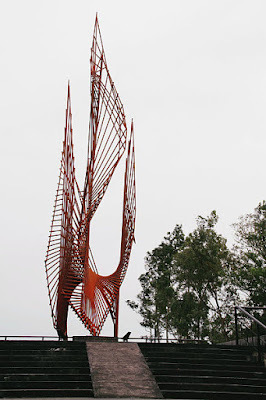 The structure cost around three million dollars as it was made of marble stones. 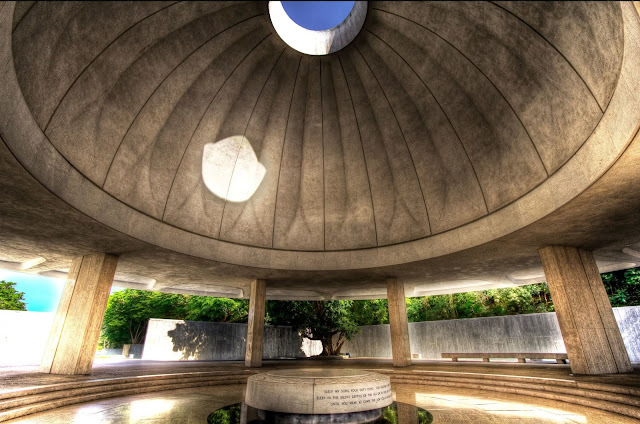 At the back of the dome is the Eternal Flame of Freedom, a 40 feet Corten steel structure symbolizing freedom commissioned to Greek-American Aristides Demetrios in 1967. Just like the Japanese Memorial Garden, the sculpture looks out to the sea and is a very tranquil. 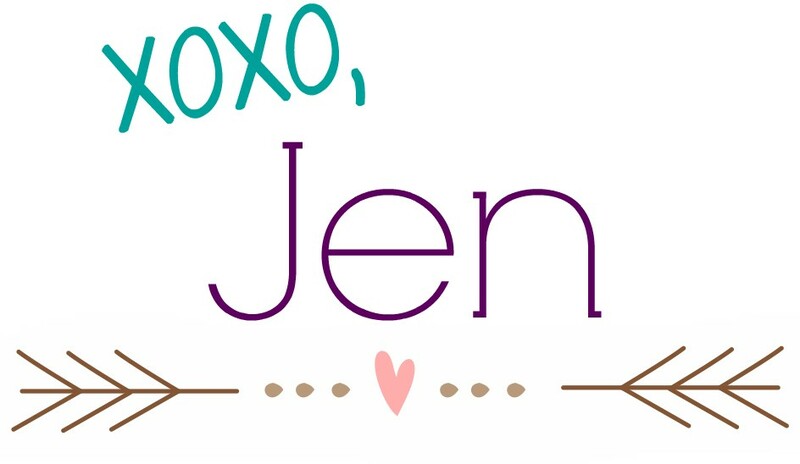 This is a series of blog posts and I’ll be posting the next few in the coming days. 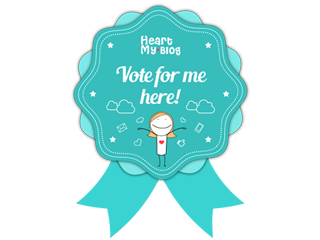 As I don’t want to cramp up the entire experience in one whole blog post. 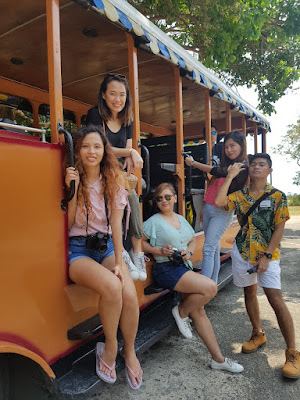 I’ll be linking the other blog posts about our Corregidor weekend trip below once I’m done publishing them, so if you’re interested to know more about it, please do come back to my blog.